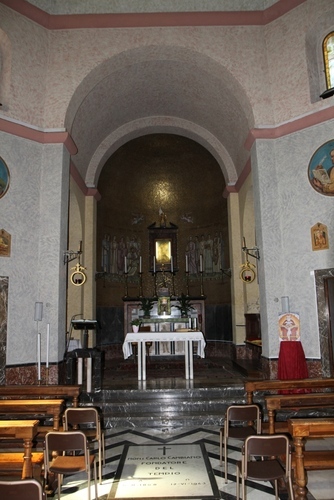 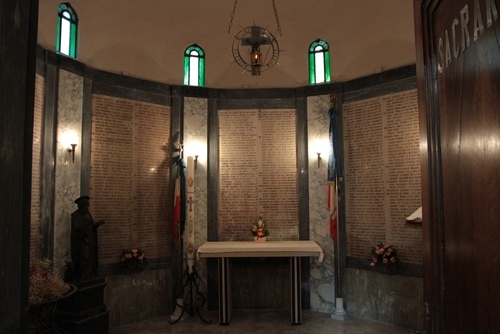 The Tempio Votivo dei Medici d'Italia (Votive Temple of the Italian Physicians) is located in Duno (Piazza del Santuario). 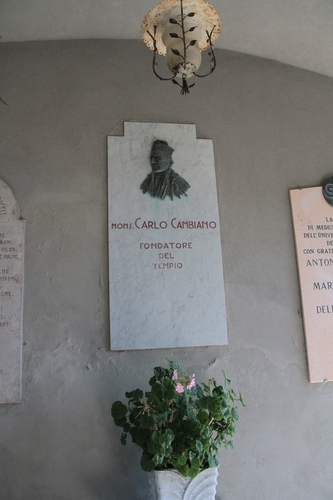 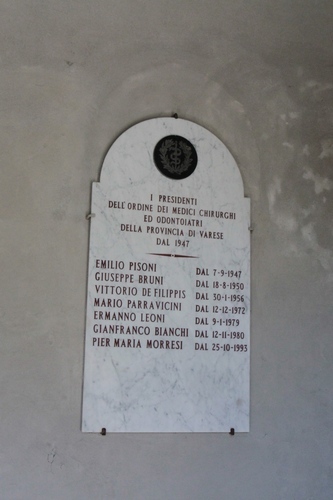 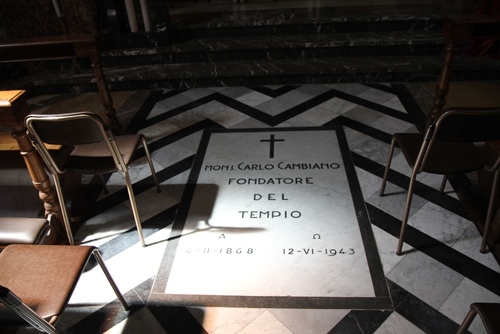 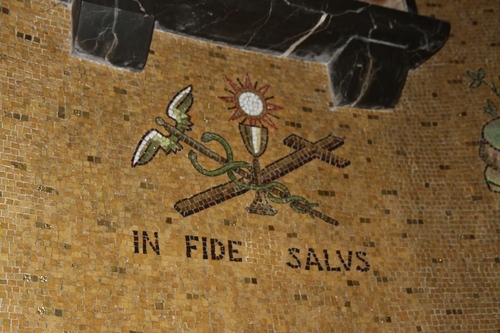 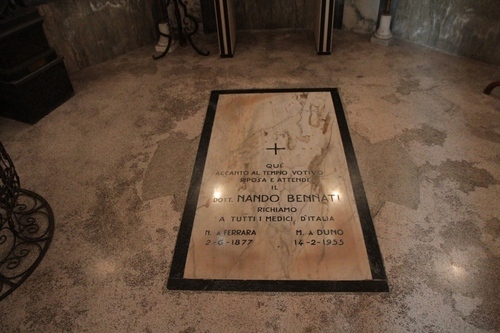 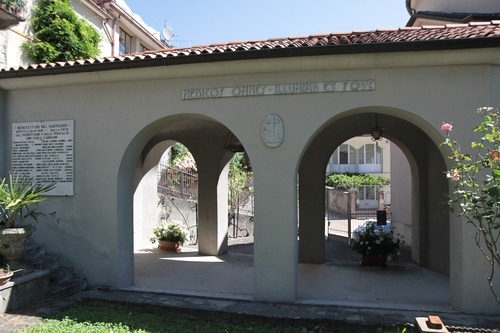 It was built in the late-1930s on the initiative of Italian priest Carlo Cambiano to honor the memory of the Italian physicians dead in war or during other humanitarian emergencies. 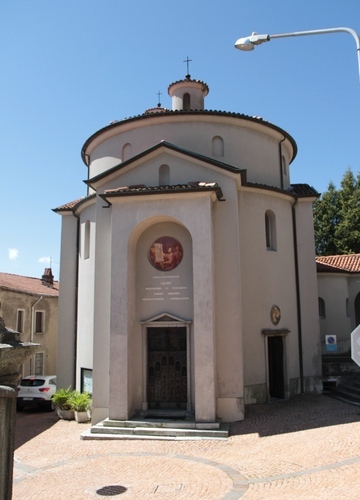 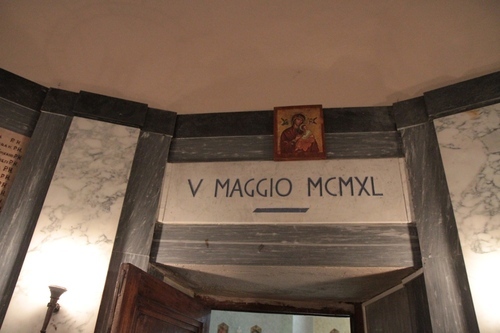 The church was consecrated on August 25th, 1938, by Alessandro Macchi, then bishop of Como. 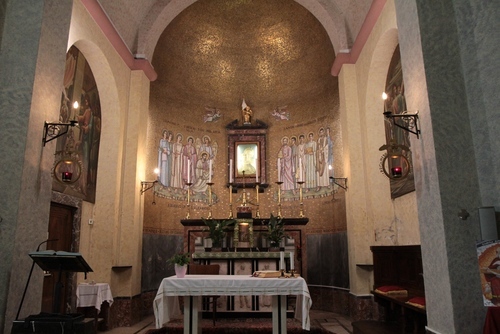 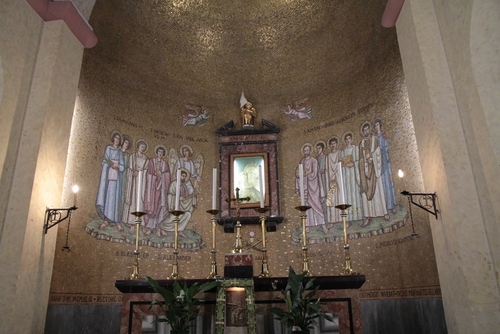 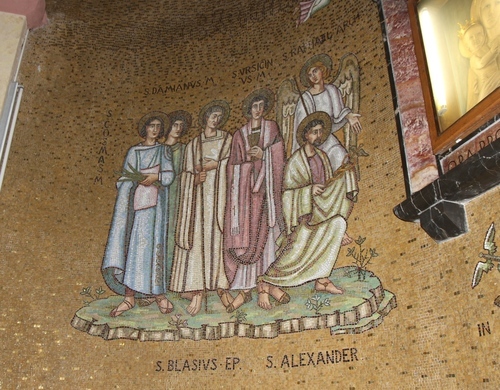 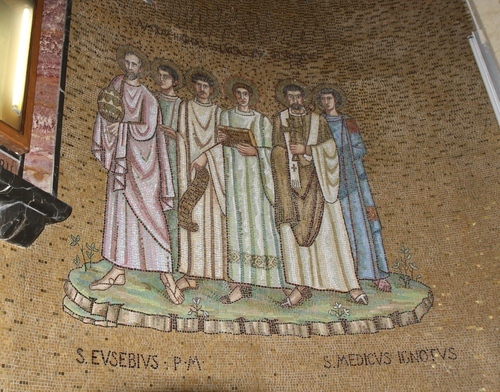 In the apse you can see a mosaic representing some angels and saints related to medicine or healtcare such as Raphael Archangel, Luke, Cosmas and Damian, Pantaleon, Anthony Maria Zaccaria, etc. 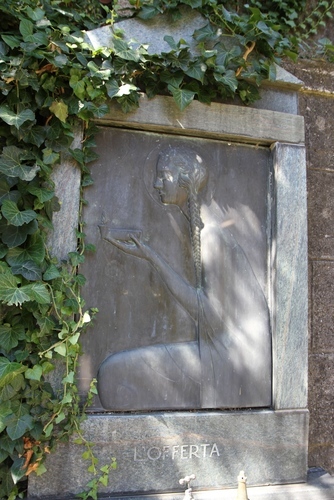 There is also the figure of the Saint Unknown Physician! 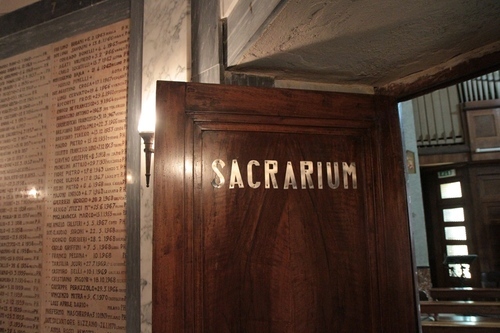 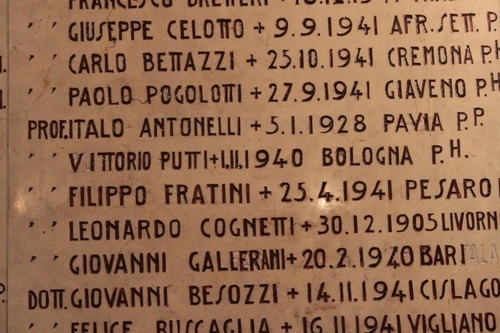 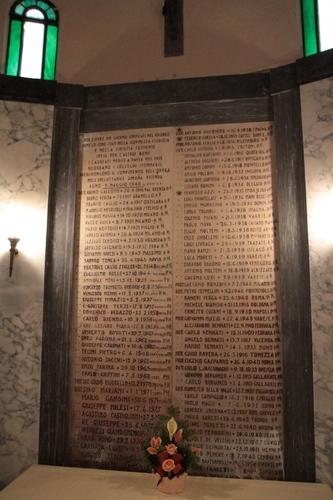 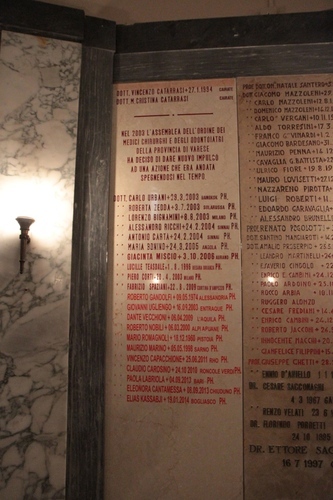 On May 5th, 1940, the adjacent Sacrarium - where the names of the dead physicians are listed - was inaugurated. 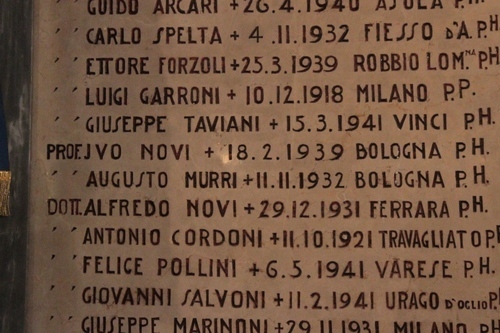 The names, with the place and date of their death, are followed by the abbreviations P.P. 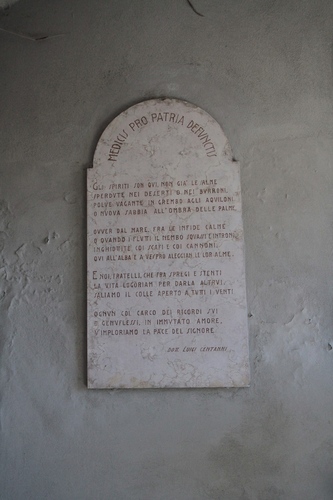 (Pro Patria = for Country) or P.H. 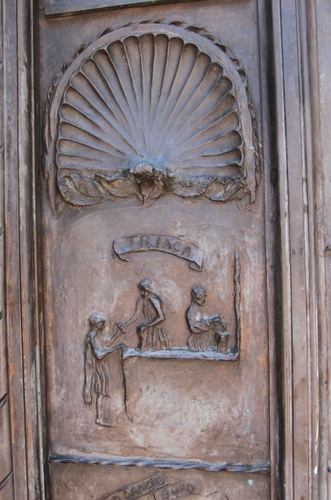 (Pro Humanitate = for Humanity). 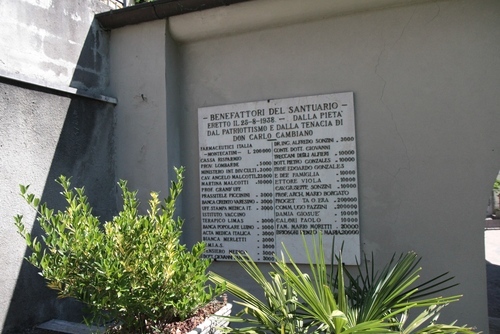 You can find the names of famous physicians such as Augusto Murri, Vittorio Putti, Luigi Devoto, Luigi Mangiagalli, Achille Sclavo, Edoardo Maragliano or, more recent, Carlo Urbani along with many others more or less unknown. 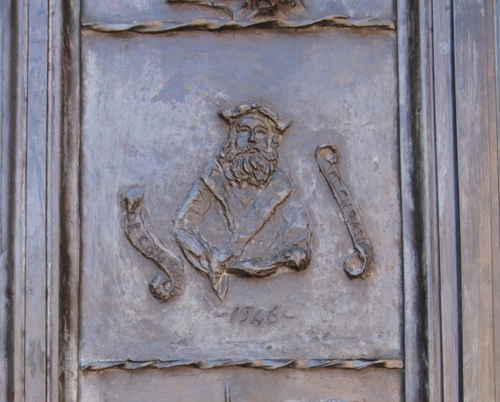 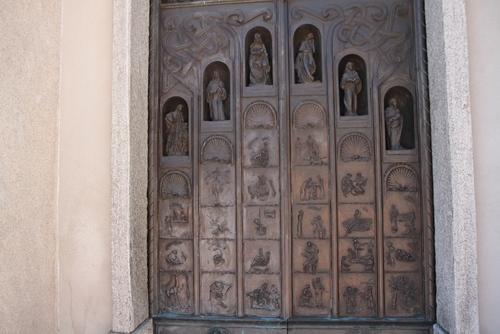 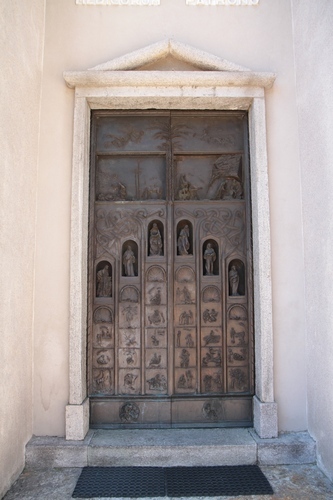 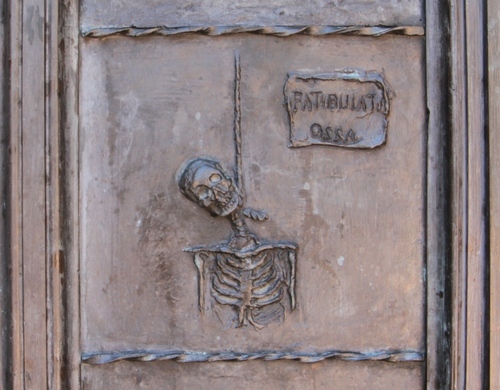 The bronze portal is decorated with reliefs depicting scenes related to health arts. 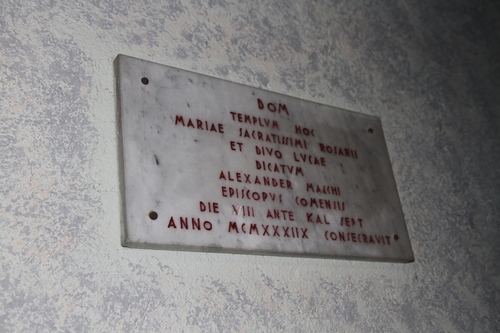 Under the external portico and in the adjacent little garden you can see many memorial tablets, with lists of benefactors of the Votive Temple, and other monuments. 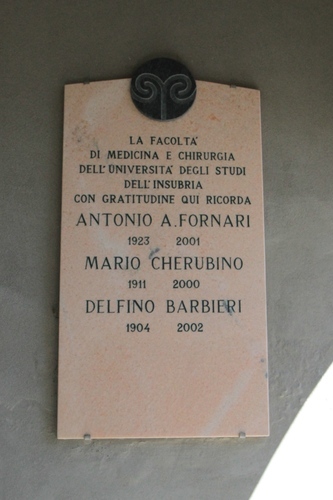 In front of the Temple, the 19th century Villa Malcotti hosts, since 2013, the Centro per lo Studio e la Promozione delle Professioni Mediche.